How Good Are $100 Smartphones? Pretty Good! Apple fans know that every new iteration of the ubiquitous iPhone is going to cost them (at least) several hundred dollars. The same can be said for those interested in Samsung Galaxy hardware updates. If users want (have to have) the latest hardware updates; slightly better cameras; slightly faster processing power, slightly more memory, then forking out a thousand dollars for the latest smartphone is their only option. But if you want a smartphone that does everything the higher end models do but maybe a fraction of a second slower with slightly slower streaming speeds, then there are plenty of $100 smartphone options available. We tried out the J, as well as other under $100 phones, the Nokia 2 and Alcatel Dawn, using service from Mint Mobile and Unreal Mobile. Everything. We made calls, answered them, texted, surfed the Web, took and shared photos, downloaded and uses apps. On the downside, these cheap phones are slower than what you may be used to with premium phones, the screens aren't as pretty to look at, and your pictures will be lower resolution than on top-of-the-line iPhones and Galaxy units. The article goes into fine detail as to what you do or don't get from these $100 models. It's safe to say, having read through the article and compared the models, there is something to be said for considering something much less expensive the next time you upgrade your smartphone. See yourself by reading the USA Today article for yourself, and let us know what you think in the Comments section below. 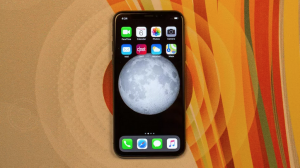 Turns out, just when we thought iPhones were going to keep pushing the maximum size limit (at what point do we start calling them "phablets" again?) Apple seems to be going in the completely opposite direction. Tom's Guide said "sources" at a Taiwanese manufacturer have specs which show a markedly smaller size of iPhone coming in 2020. 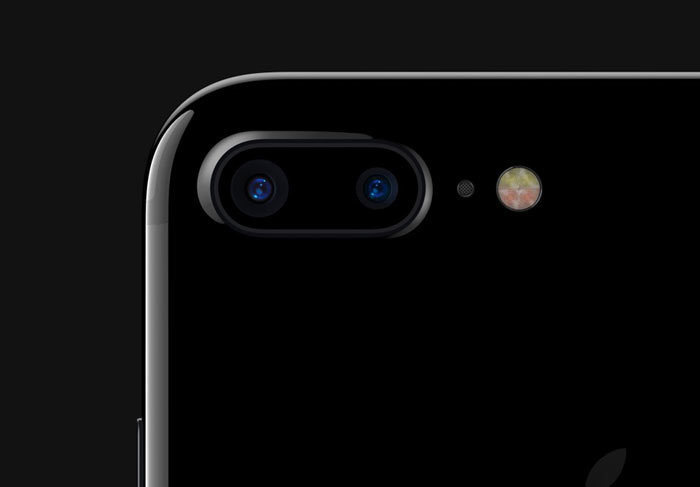 That means no more struggling to fit your new iPhone in your pocket--any pocket. It also means we'll see plenty of smaller options from other manufacturers as they try to offer their counter-Apple device. According to Taiwanese electronics supply chain sources, Apple plans to launch three new OLED-based iPhones in three different sizes: 6.67-, 6.06-, and 5.42 inches in 2020. 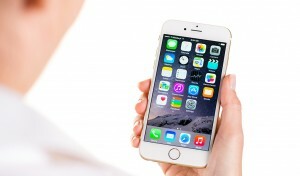 Yes, Apple is allegedly reining in the screen size expansion craze and making a smaller iPhone. You can read the entire Tom's Guide article here and let us know in the Comments below if you are interested in a smaller iPhone or would prefer they "keep pushing the maximum size"? 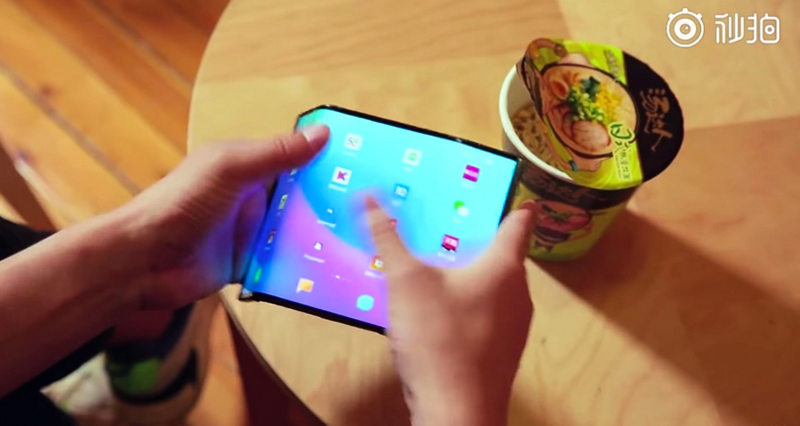 Samsung likes to take all the credit for the first mass market foldable smartphone screen, but lots of others (like Huawei and Motorola) have been trying to steal their spotlight. Now Xiaomi is doing it too. The new foldable smartphone from Xiaomi folds not just once, but twice. That's twice the foldability as anyone else is offering. The folding smartphone concept by Xiaomi uses not just one but two creases, allowing double folds on the smartphone. The smartphone was first teased by the company’s senior executives back in January, showing the different orientations in which it can work. Now, another video of the double folding smartphone has been released by Xiaomi’s official Weibo handle. Even though it doesn’t reveal much, the animation accompanying the transitions from the larger footprint to a smaller form factor seems a bit smoother and refined compared to earlier. Further, the video also shows a USB port at the bottom of the device. The question is: will consumers care how many times their smartphone folds? And will they be willing to pay a premium for a foldable smartphone with a limited lifespan in the first place? You can read more about the new Xiaomi smartphone here in this cool article by XDA Developers. The article includes a cool video as well as links to other foldable smartphone models. Samsung announced this week they will be showcasing a new Samsung Galaxy-related phone or maybe three phones on April 10. 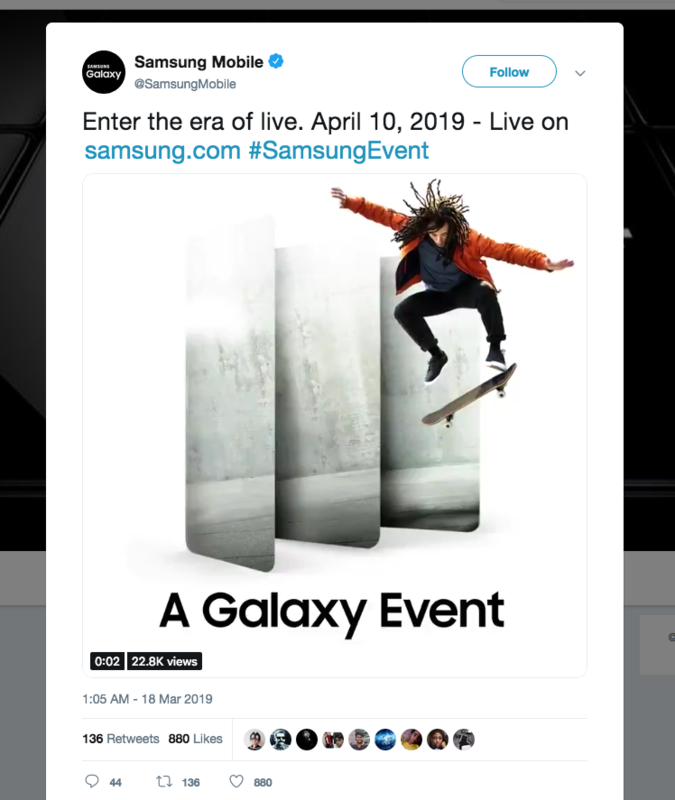 The announcement, made via Twitter, was accompanied by an image of three shadowy devices and a wild-haired skateboarder. Samsung did not say whether the skateboarder would come with the new device, or if you had to pay extra. They also didn't say anything specific about the device(s) itself. So for the next few weeks everyone will be speculating on just what exactly the release will consist of. Andy Boxall at Digital Trends has some other thoughts on what might be revealed and you can read those here. In the meantime, why not share with us what you think or hope Samsung is going to release on April 10 in the Comments below. If Your Smartphone is Hot - Cool It Off! Many people think the reason their smartphone is feeling much warmer than seems reasonable has something to do with an internal battery problem. And while that may be true in some cases, most of the time your smartphone is just overworked, and/or suffering from poor quality chargers or cables. There are multiple apps that keep running in background and exhaust processing abilities of the smartphone. So, it is better to remove such apps from the device. 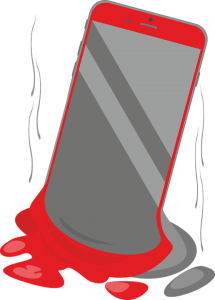 When phone temperature rises, the most probable culprits are either the its battery, processor, or screen. Each of these components can generate heat; chemicals inside your phone’s battery create electricity, the processor transfers information at high speeds (like a computer), and your phone’s screen emits light. So how can you pinpoint what’s causing the problem? While not an exact science, you can make an educated guess about why your iPhone or Android phone is heating up based on where the heat is coming from. As we said, there have been several cases of smartphone batteries catching fire, and smartphones 'exploding' - which are very dangerous situations. However, there are simple steps you can take if you feel your smartphone is running warmer than usual which will not only cool it off but also help extend the life of its myriad parts. How To Choose The Best Smartphone For "You"
Tired of your old smartphone (that you bought just last August) but unsure exactly what model is right for you? 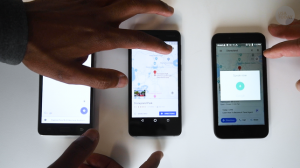 When the smartphone wars first began there were clear differences in performance, camera technology and what each phone operating system could do. These days, with so much more miniaturized circuitry baked inside, massive processor speeds and internal memory, it is much more difficult to notice any measurable difference. Even the cameras; where once Apple reigned supreme with their iPhone digital camera technology, these days we measure differences in a handful of extra pixels or a different button configuration. After all, mobile tech today is a totally different field than it was even just a few years ago — and now more than ever, there's little compelling reason, as an earth-dwelling human, to upgrade to a new phone every single year (or even every two years, if you plan wisely). 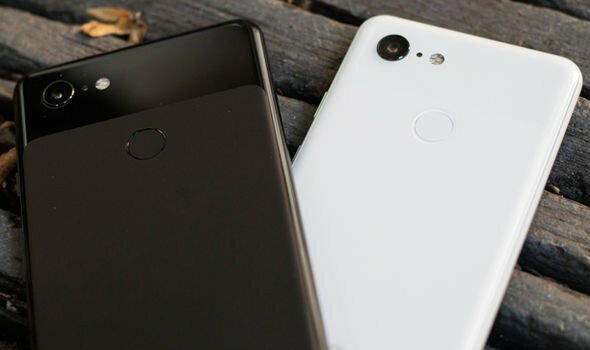 The author goes on to include a list of very specific reasons that seem to make each phone uniquely suited for specific types of people. Find out what kind of phone is right for you by reading this article and let us know in the Comments how that matches up with the phone you have! One of the most adored featured of the iPhone line is the quality of their digital camera. This simple piece of hardware has been masterfully tweaked by Apple designers now bringing users the highest level of digital handheld image capturing software and functionality ever achieved. And users are putting it to good use. You know this by checking out the reams of images captured and shared on Instagram and Facebook. You can see the entire list of winners and their fantastic images in this article at USA Today. Looks as if fans of the new Samsung Galaxy Fold will have to wait a bit longer before they can bend, and unbend, their new device. Samsung said during their recent Galaxy Unpacked event that the new foldable device will be released on April 26th in both LTE and 5G versions, expected to retail at $1980.00. That seems a bit steep for a phone, whether it folds in half or not, but given iPhone price points in the $1000+ range, consumers might be willing to splurge. After all, this will be the first smartphone which offers folding screen technology. The company expects demand will be high, and given the amount of consumer chatter, they may be right about that. 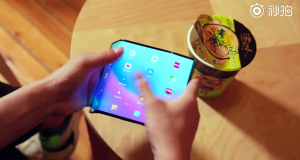 Samsung is using a new 7.3-inch Infinity Flex Display that allows the phone itself to have a tablet-sized screen that can be folded to fit into a pocket. The main display runs at 1536 x 2152 resolution, and when it’s folded, a smaller 4.6-inch (840 x 1960) display is used for the phone mode. Samsung is using 512GB of Universal Flash Storage 3.0 (eUFS) for fast speeds, alongside a 7nm processor and 12GB of RAM. Samsung has even built two batteries for its Galaxy Fold, that are separated by the fold but combined in the Android operating system. You can read more about what the forthcoming Samsung Galaxy Fold can do in the rest of The Verge article, here. Google has been hit-and-miss when it comes to projects outside of their core business. Google+ failed, true. But at the same time Google is closing one project, another project, the Pixel 3, has proven it has what it takes to truly be called a success. While Google's Pixel line of smartphones has been popular with Android enthusiasts since its inception, it has so far struggled to match rivals from the likes of Samsung and Apple in terms of relevance and sales. However, it appears the American tech giant's line of handsets has just received a major boost following the publication of a new report from Strategy Analytics. Whether you are a fan of the Pixel brand or not, you might enjoy this article that details the impact this brand is having on the broader smartphone market and what that might mean for the future of the ubiquitous devices from all brands. 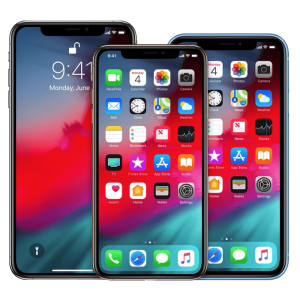 iPhone X (Refurbs) Now On Sale! If you've been dying to get yourself an iPhone X but balked at the price point (You're not alone!) 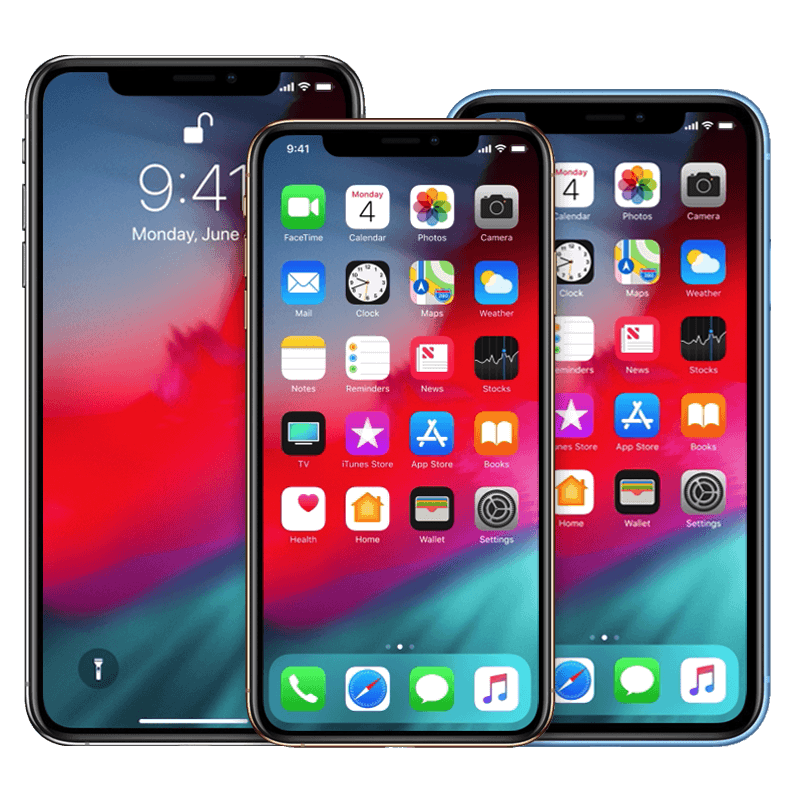 then you may be interested to hear that you can find the factory refurbished iPhone X for sale at greatly reduced prices in the Apple Store. Right now you can save more than $200 off the original price for a 64gig model -- just $769. Of course, supplies are limited, so it's going to be first come, first served and when they're gone, they're gone. As of 1 p.m. PT, 64GB models in space gray and silver were available, as were 256GB silver and space gray versions. Apple didn't immediately have information about when more refurbished models would be available. 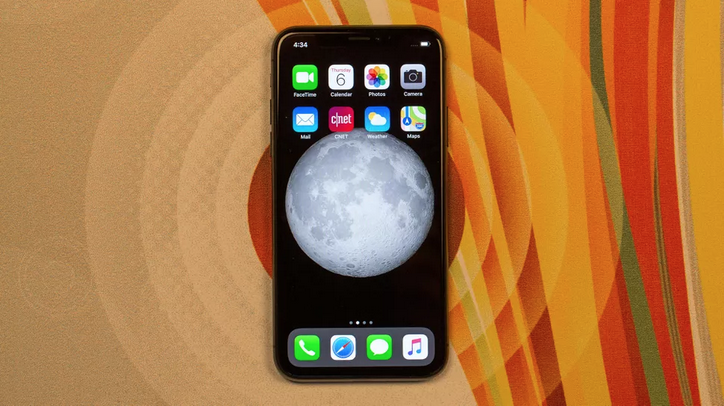 Apple's iPhone X, released in November 2017, marked the first major redesign of the iPhone in three years. Apple ditched the home button in favor of Face ID and stretched the OLED screen across nearly the entire front of the phone. The phone helped Apple become the first public trillion-dollar company, but it stopped offering the iPhone X when it introduced last year's iPhone XS, XS Max and XR. You can read more about which models are available and what is behind the drastic price cuts, here and here. And if you do get yourself a new iPhone X, don't forget to keep it safe with a new case from Luvvitt!